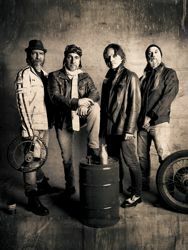 HARTMANN to release „Hands On The Wheel“ on May 18th, 2018! 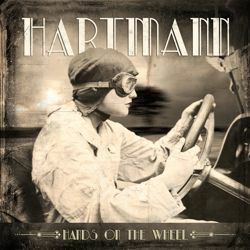 HARTMANN, the band around singer/guitarist Oliver Hartmann, will release their new album “Hands On The Wheel” on May 18th vial Sonic11/Pride & Joy Music! Details about the album are found below. The PR for this release via Haulix will start right after the Easter fest. We will handle the PR for this release world-wide except for the radio PR in Germany which will be taken care of by Ulf Bellmann/Medialuchs PR. Please send us your requests and note that our office will be closed during the German Easter holidays from Friday, March 30th until Monday, April 2nd included. Besides that Oliver Hartmann is also fronting the successful Pink Floyd Tribute Echoes that climbed up to No 20 of the German charts in 2015 with their acoustic live DVD ’Barefoot To The Moon’ and received outstanding critics world wide!